Wolves were last in the Premier League in 2012Championship club Wolves have confirmed that they have been bought by Chinese conglomerate Fosun International.The takeover sees 100% of the club's shares and assets transferred from previous owner Steve Morgan to Fosun in a deal thought to be worth Â£45m.In an open letter to supporters, Morgan said Fosun had "made a commitment to invest between Â£20-Â£30m over the next two years" into the club.Chief executive Jez Moxey will also step down after 16 years at Molineux.Wolves, who had been put up for sale by Morgan in September 2015, are the second Championship club to have Chinese owners after Midlands rivals Aston Villa were sold to Dr Tony Xia earlier this year.The new-look board at Molineux will consist of four members, including Jeff Shi, who led the negotiations on behalf of Fosun and will become the club's representative, while local businessmen and Wolves supporters John Bowater and John Gough will also continue to serve as non-executive board members.Moxey will remain as chief executive for the next three months as the club, which finished 14th in the Championship in 2015-16, search for a permanent replacement. Steve Morgan (left) bought Wolves from Sir Jack Hayward for Â£10 in 2007, while Jez Moxey (right) has been chief executive since 2000'Our goal is crystal clear'"We are delighted to have completed the deal to become the new owners of such a famous and historic club as Wolves," Shi told the club's official website. "We owe a great debt of gratitude to Steve Morgan for taking such good care of the club and for placing his trust in us to become the new custodians of Wolves. 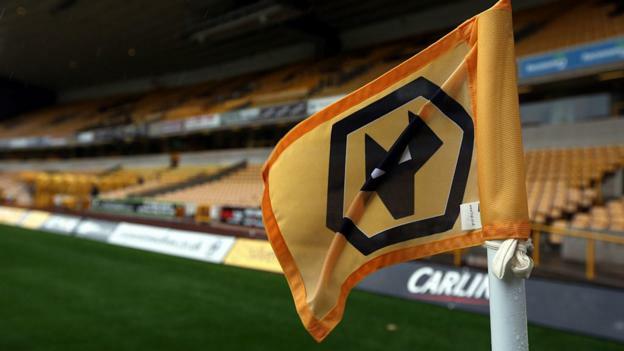 "During our conversations Steve's great passion and vision for the club and Wolverhampton was very clear and we feel privileged to pick up the baton from him. "And also to Jez Moxey for his tremendous contribution to Wolves. We are sad to see him leave. "Shi continued: "We would also like to thank the hugely loyal and passionate Wolves supporters, and all of the club staff, for their patience whilst our discussions were ongoing. We hope they will be pleased with, and supportive of, our exciting plans for Wolves. "Our goal is crystal clear: we will do our very best to help take Wolves back to the Premier League as soon as possible and to stay there. "We believe the club and the fans belong at the top of English football and getting there is our first and top priority. "Who are Fosun International?Under the chairmanship of billionaire businessman Guo Guangchang, Fosun are one of the largest investment groups in China.They have stakes in various leisure and entertainment projects around the world, including Club Med and Cirque du Soleil, and currently have interests in several UK companies including Thomas Cook.Fosun also has links with super-agent Jorge Mendes, who represents Manchester United manager Jose Mourinho and Real Madrid striker Cristiano Ronaldo among others.Mendes sold a minority share of his agency Gestifute to a subsidiary of Fosun late in 2015 and is expected to play a part in recruitment at Wolves. Wolves finished 14th in the Championship last season, 16 points below the play-off placesAnalysis - Pat Murphy, BBC Radio 5 liveI don't think there's any significance in the West Midlands suddenly appearing to be the hotbed of Chinese interest as far as English football's concerned.Two factors have combined - the Chinese government encouraging its big economic players to get involved in European football and the stagnant state of the top West Midlands clubs. Since Aston Villa's League Cup win in 1996 only Birmingham City have won one of English football's major trophies, beating Arsenal to win the same competition in 2011.Too many false dawns, too many disillusioned owners. A regional powerhouse stagnating.Enter the Chinese on the wave of a massive interest in football, with their own Super League prospering, serious players being lured by fabulous contracts and TV coverage of English football soaring in scope. The president has said he wants the World Cup staged in China within 20 years. The onward march into English football - and stakes in Atletico Madrid and AC Milan - is just one manifestation of that long-term aim.The money is available to snap up these West Midlands clubs. Other bidders are just being blown out of the water by Chinese money.